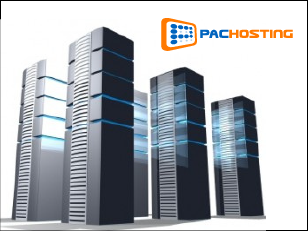 Hong Kong, 17 July 2013 - PacHosting launched a total new server solution, Dedicated Virtual Center, which streamlines virtual machines provision and management on physical dedicated servers. PacHosting is the pioneer to introduce service of this kind to Hong Kong, as well as Asian market. It is the first solution that allows clients to get the full control of a physical server and virtualization hypervisor at the same time. PacHosting carefully selected the state-of-the-art commercial hypervisor Parallels Cloud Server and Dell PowerEdge series server to deliver Dedicated Virtual Center at high performance and outstanding reliability. PacHosting’s Dedicated Virtual Center brings clients a new user experience. With the help of the full-featured Parallels Virtualization Automation (PVA) virtualization control panel, users could provision and manage multiple virtual machines and containers on a single physical server with ease. Virtual machines provide isolated server environments while containers allow users to scale the servers’ configurations on the fly. Each virtual server could run own operating system and applications to meet evolving needs of enterprises. Dedicated Virtual Center allows users to make use of templates and ISO images to provision virtual servers, users can flexibly apply own licenses to the hypervisor platform to clone multiple virtual servers with standard systems to significantly reduce the time and procedures in the initial setup stage. Users could also form internal private network through private IP to enhance security and bandwidth efficiency. Server resources could be fully utilized as the hypervisor could reclaim used resources and re-assign to another server in need to maximize the productivity distribution. Dedicated Virtual Center combines the advantages of dedicated physical server and scalable virtual servers.